The F124 ratio controller has been designed to ensure that two flows are kept at the same ratio even if flows are changing. 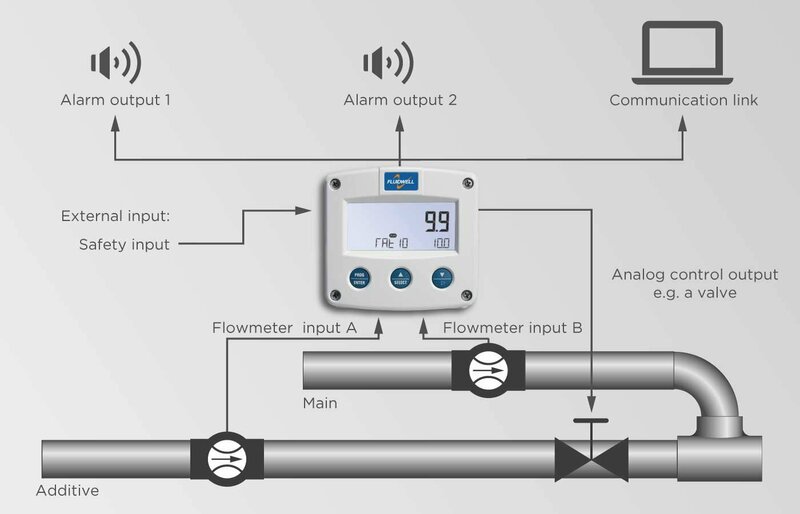 The Fluidwell ratio controller will show a strong influence of maintaining a good and constant quality of products and saves money on the blending components. The F124 is a key product of the Fluidwell Process Controller family and is the alternative to replace existing pneumatic controllers in local control loops. Calculates and controls the ratio between flow A and flow B. - Ratio (control additive flow to obtain the desired ratio). Displays actual and desired ratio simultaneously, flow rate A and flow rate B.
Analog output to control the position of the valve. 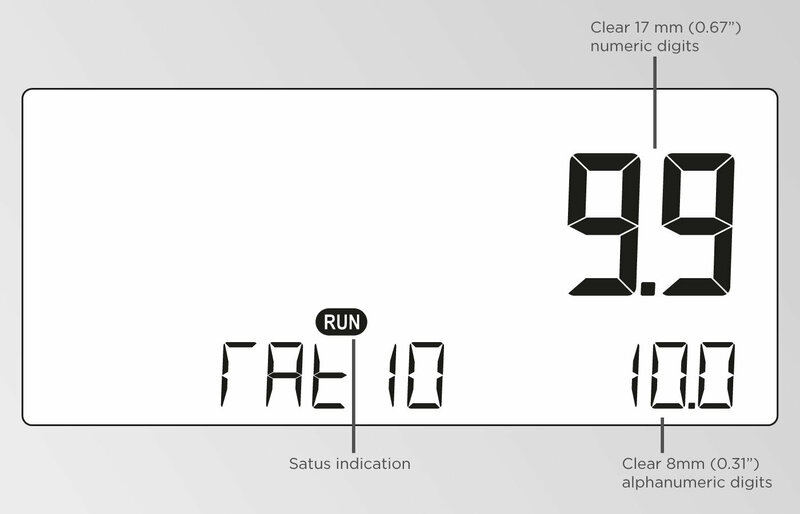 Ratio: seven 17mm (0.67") digits, displayed as percentage. Desired ratio: five 8mm (0.31") digits. Auto backup of settings, setpoint and control mode in EEPROM memory. Applications where a constant ratio between a main flow and an addititve flow is desired (e.g. applications like glueing, blending or mixing) without the need to manually control the additive flow. Function: Two alarm outputs for low and high ratio alarm. Function: Control output to position the valve of the additive flow.